First Things First: What is an Affiliate Program? Lest we get ahead of ourselves, I want to make sure that everyone reading this knows what an affiliate program is. To understand what an affiliate program is you have to understand affiliate marketing. Affiliate marketing is when a product creator allows partners (i.e. affiliates) to sell their product or service in exchange for a commission–incentivizing them to promote the product and produce sales in addition to the efforts of the product creator. An affiliate marketing program is how a product creator facilitates this process. The basics are always the same. An affiliate sells the creator’s product and earns a commission. The details of that arrangement and how it is managed are what varies. In some of my recent posts here on Elegant Themes I’ve talked about how starting your own affiliate program can be a great way to boost traffic to your website. But the benefits can go far beyond a mere traffic bump if the product(s) and program are done right. A properly executed affiliate program will not only drive traffic but increase sales, improve yoru site’s SEO, generate quality leads, broaden the influence and reach of your brand, and even help sell other products that are not part of your affiliate program at all. Not to mention that if your program became popular enough with affiliates, your marketing costs basically become the cost of managing your affiliate program. After all, as long as that thing is running smoothly you’ll have an army of marketers out there working on pure commission promoting your product and brand. Why Not to Start an Affiliate Program? With all of those benefits, it might seem like there is no good reason every WordPress user shouldn’t rush out today and start their own affiliate program. And it may indeed be the right choice for many, but I’d be remiss if I didn’t offer up at least a small word of caution. So consider this a fair warning and encouragement to do more research before taking the plunge! The first thing you need before even considering the rest of these steps is a great product. Something worth becoming an advocate for, which is what you will be asking of your affiliates. This is not simply hyperbole either. A quality product is essential. Many affiliates have their own brands that they’ve built over time with a lot of hard work. They are not going to risk promoting an inferior product to their audiences if that may mean losing their trust and their repeat business. Additionally, if your product is so poor that customers begin asking for refunds it can cause huge headaches when it comes to managing your affiliate payments for products that didn’t stay sold. You’ll either end up losing money or affiliates. Or both. Not to mention customers, too. So first things first, develop your product until you have the utmost confidence in it. Once you know you have something that you believe in and can not only sell to others but sell the idea of selling your product to others–it’s time to choose your affiliate platform or plugin. If you choose a platform that means your affiliate program will be housed outside of your WordPress install, even though the products you’re selling may be housed there. If you choose a plugin, then everything (both product and affiliate program) will be run from the WordPress admin. There are pro’s and con’s to each approach. Whatever you do end up choosing though will define how you go about the rest of this process. Which is why I’ve listed and described the most popular affiliate platforms/plugins in the sections below. The platforms featured below offer built-in networks of affiliate marketers that you can search and invite to promote your products. This is one of the huge advantages to working with a platform over a plugin. You can really hit the ground running! But regardless of whether or not you go with a platform or a plugin you will most likely still want to find ways of promoting your program independently. This process should probably look a lot like your content or product promotion. You can send out emails, do guest posts, blogger outreach, and much more. All of which should be pointing your prospective affiliates towards an effective landing page. Here are three examples of such landing pages by some of the most successful affiliate programs in WordPress Themes. 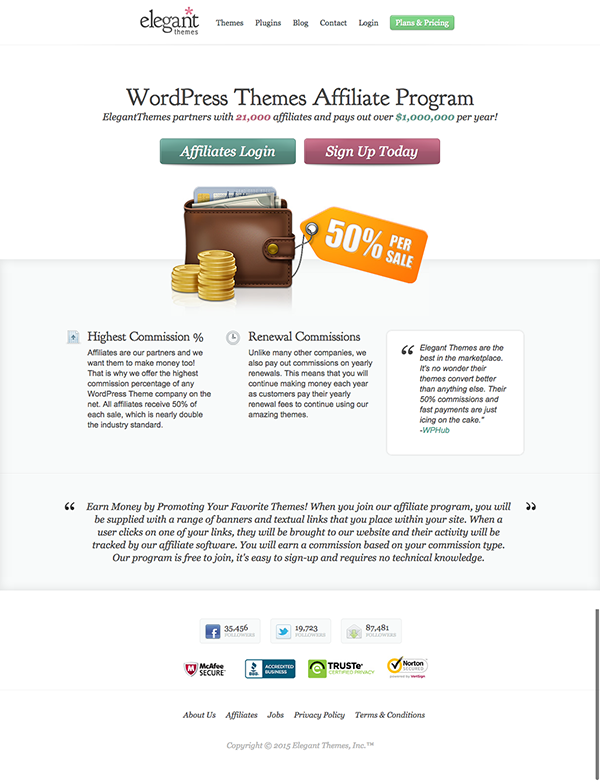 The Elegant Themes affiliate program is one of the best in the WordPress market. Studiopress is the creator of the Genesis framework. Their affiliate program has done much to make their framework one of the most popular in the world. Themeforest is the largest WordPress theme marketplace in the world and they have a massive affiliate network that pays out millions each year. Additionally, each option below will have various tools for helping you track, manage, and optimize your affiliate program. The cost (including time spent) should include an accounting of how effective these various tools will be in helping you grow and maintain your budding affiliate program. Affiliate platforms are a combination of network and technology working together. The network is full of potential affiliates for your products and the technology is there to help you start, manage, and grow your program. Typically the platform approach is going to cost more but come with more benefits. You will have access to their network of affiliates and they will also manage (even automate) the process of maintaining your affiliate program for you. Shareasale is the bigger of the two platforms in this post, with the larger network of affiliates too. They’ve been around for over 13 years and have a good reputation in the affiliate marketing industry. 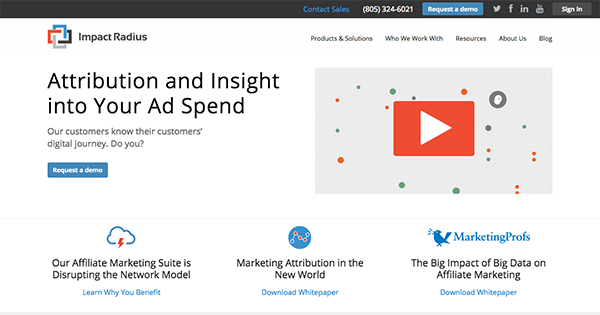 Impact Radius is a bit newer to the affiliate marketing space than Shareasale but making quite the name for itself. It’s platform allows you to track all of your media channels, automate tag management, onboard and pay partners, and provide tools for viewing/optimizing all of you conversion paths. The biggest thing Impact Radius brings to the table is its unique approach to partner (affiliate) management. Their model allows you to own your partnerships instead of “renting” them from a network. Check out their video explanation via the more info link. These affiliate plugins turn WordPress itself into your very own affiliate marketing platform. Bringing all the necessary tools for growth and management right into the WordPress backend. The benefit of this is that you gain much more control (and outright ownership) over your network. The downside is that a bigger burden of management falls to you as well. 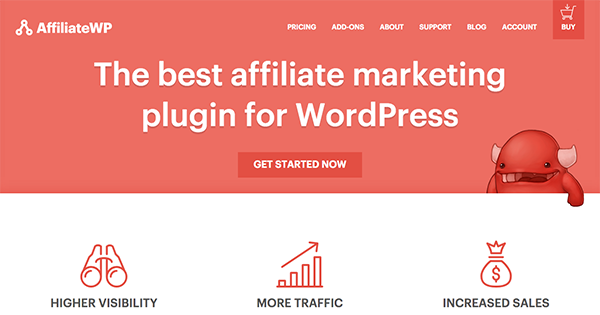 AffiliateWP is probably the best WordPress plugin option on the market right now. It is by Pippin’s Plugins and comes with their reputation for high quality code and support. It also brings a fairly large suite of affiliate management tools into your WordPress backend. Integration with Easy Digital Downloads, WooCommerce, Gravity Forms, Paid Membership Pro, and other popular plugins. 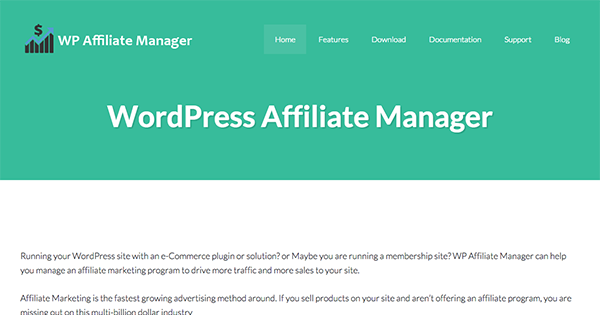 WordPress Affiliate Manager is a sort of stripped down version of what the other options above offer. It integrates with WooCommerce, WP eCommerce, and Simple Shopping Cart to allow almost any WordPress eCommerce store compatible with their affiliate program tools. I have been seeing a lot of bloggers becoming affiliate and cleverly use their blogs to promote a product. Some of them are very honest about it, they mention clearly that if you click this link and buy the product then they will get the commission, no wonder you feel inclined towards obliging such bloggers. It’s a law that they HAVE to disclose to you that they are making an affiliate commission from these products. If they aren’t disclosing, then they could be subject to legal action. Nice guide it really helps everyone specially those who already created products..great products but haven’t started affiliate program yet. I generally like the articles on Elegant Themes. This one, though, has a bit too much fluff in it. And a more honest title would be “Things to Consider When Creating a WordPress Affiliate Site” because there are practically no “How To” steps in this article. Which means I did not get what I was looking for based on the existing title. I understand about titles in market strategy and SEO, but I also understand that if you don’t deliver content that matches your title, you will soon find people not believing your titles and skipping your ads. Great article. I used iDevAffiliate – http://www.idevdirect.com/ once for a client and it seemed to work pretty well. It is a separate installation on a server or you can pay to have them host it. I did not know about the ones that you mentioned. Thank you for sharing. There is also WP Affiliate Platform https://www.tipsandtricks-hq.com/wordpress-affiliate-platform-plugin-simple-affiliate-program-for-wordpress-blogsite-1474 . I’ve used that one for a while. It’s only $50 and you can use it on as many sites as you want. I too use the this plugin as I bundled it with the estore. Found it effective for my use, as it handles revenue sharing when you pick up other folks products in your store. Tracking IDs are also nice for monitoring the sales funnel. Awesome article! Now what about creating a sales funnel site? Good point about creating a salesforce. I actually wasn’t aware you could create an entire affiliate program of your own with WP plugins for your own products. We use AffiliatesEnterprise – it’s a bit no frills on the pretty side but it has a lot of features for tiers and was fairly easily manipulated to show the affiliate links as subdomains instead of URL strings that are not allowed in some places like Pinterest or Craigslist. Great blog post if you didn’t understand affilate programs. I have a client who has a passion for handicapping horse races and wants a membership site. We discussed an affiliate option, then he jumped right to a MLM program! This will be interesting. Has anyone built a MLM site before? I was trying to find about affiliate programs. What is worrying for me is that you need to spend a considerable amount of time if you grow in the future. Very nice article. Thank you again. ShareASale seems rather expensive for a small business looking to get started with an affiliate program; however, having access to a network of affiliates is quite beneficial. Does anyone know of any other networks/places to find good affiliates to promote services? Any insight would be great, thanks! 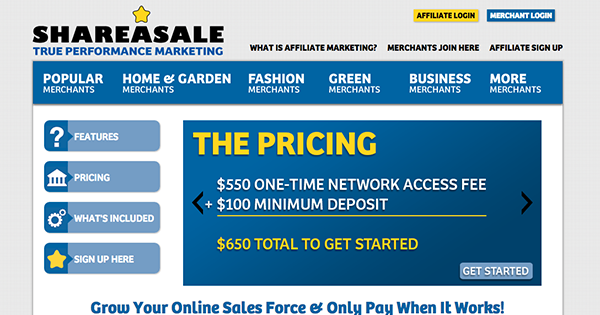 Why not after all… affiliates is the new “money maker” of the 21st century. Here at ushealthbay.com we’re planning to start marketing new products to our audience and eventually we would be needing affiliate marketers to partner with us; and also the tools to make that easy for us. Great article as we find it very informative and useful. Hi This a good and helpful post for new marketers. thanks for shearing your knowaldge. keep shearing.. Thought and experience which is present in this web page is a secret key for those are really want to get success for self and others too. Affiliate program starts from a thought and implemented by group of genius person for making a successful affiliate program. Why is Wordpree better than Joomla for blogging? 4. In WordPress easily you can get plugins for all process. 5. Almost everyone prefer WordPress rather than other open cart. I do not have a product but I was wondering if there was a way I could still set up an affiliate program and offer it to potential clients to sell theit products and I receive a commission? Thanks for the great timely article. I have a client looking for an Affiliate Program and this was just what I needed. A great piece of information for anyone who want to start affiliate marketing with their wordpress blog. I too have started a wordpress blog but don’t have much traffic. Is it important to have good traffic before you start affiliate marketing?